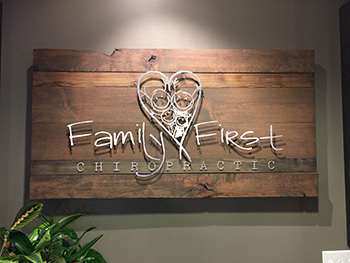 Family First Chiropractic was founded by Dr. Joel Marley and his wife Melissa in July 2007. With the heart of Omaha spreading west, we wanted to be a part of the growth our thriving area was experiencing. Our facility has flourished since then, with Dr. Jeremiah Sample joining the practice in July, 2016. The future is bright, too — as we have plans to expand into the remainder of our 6000 available square feet, ensuring that multiple doctors and a supportive team meet all your family’s needs. We want you to feel welcome and at home from the moment you step into our warm, friendly environment. Our chiropractic care center is comfortable and takes care of all ages, from newborn babies on up. What Will Be Your Miracle Story? Our goal is to get our patients back to doing the things they love. The greatest reward we could get is when someone tells us that they slept through the night or were finally able to play a round of golf. These wins often extend to things you wouldn’t normally associate with chiropractic care. We’ve helped well over a dozen document cases of women who were told that they were infertile and wouldn’t have children. One of these patients came to our office for help with severe jaw pain. She’d had some teeth pulled as a treatment option but was still in chronic, severe discomfort. After four months of care, she came in and asked, “How am I pregnant? I had my first two children thanks to In Vitro Fertilization.” She hadn’t thought it would ever be possible! So many times patients come in for one issue, only to get others resolved as well! Dr. Marley himself became a chiropractor thanks to another success story — his father’s. A car accident left him with a broken neck, and the doctors didn’t forecast a bright future. He made a full recovery thanks to his chiropractor, and from age 11, he knew he wanted to help people in the same way. Another of our patients was a woman whose husband had five failed back surgeries. His life was put on hold, and he was unable to live a normal life. He became a patient of Dr. Marley’s and got great results. His wife came in for an adjustment and told Dr. Marley, “You know that my husband wouldn’t be walking without chiropractic care? He’s a different person than he was before he came here.” He smiles, has energy, goes mushroom hunting, and they were even able to adopt a puppy. Anything is possible with chiropractic care. Contact us today to schedule your appointment! If you’re a current patient, your family and friends can take advantage of our referral special.